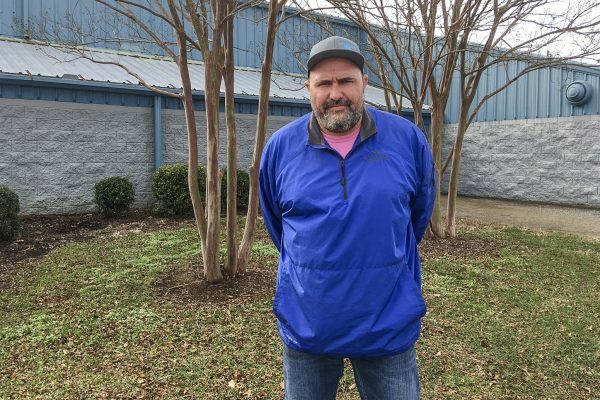 MURFREESBORO, Tenn.—A year into the Trump presidency, rural Tennesseans are riding high on the way America is shaping up. “I hope he keeps going. I’d love eight years of it,” said Gary Patterson, who co-owns a construction business near Nashville. The new tax bill gives most farmers lower tax rates across the board and eliminates the death tax for most family farms. Tennessee is a red state, aside from the big-city blue dots of Nashville and Memphis, and one small county. President Donald Trump won the state’s 11 electoral college votes and 61 percent of the popular vote, while main challenger Hillary Clinton took 35 percent of the popular vote. Eslick said his wife works in procurement for the military contracting business Northrop Grumman, and their work “just went up exponentially” since Trump took office. “They were in the process of going through a bunch of layoffs—which has halted, and they’re actually hiring back,” Eslick said. 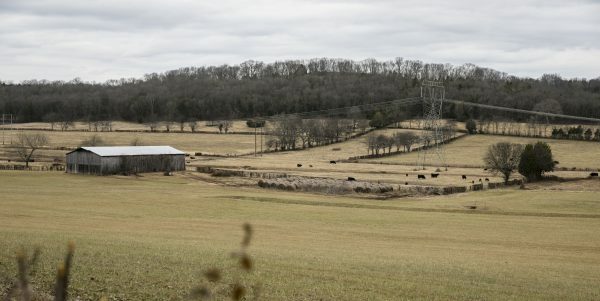 Almost half of Tennessee’s land area is used for farming. Eslick owns 1,100 acres and leases about another 400 to raise and sell cows. He sells about 1,000 cows a year—the 400 he raises and another 600 he buys as calves. Our beef is a better quality, so it’s going to help things if we can get back into the Asian market. He is optimistic about the government’s ongoing trade and tariff talks, and especially in getting beef exports back into the Asian market. The Trump administration brokered a deal that saw the first shipment of U.S. beef since 2003 arrive in China in June last year. China has emerged as a major beef buyer in recent years, with imports increasing from $275 million in 2012 to $2.5 billion in 2016, according to the U.S. Department of Agriculture (USDA). Eslick is hoping Trump can continue working on tariffs, especially with beef exports to Japan. Due to a glut of beef imports earlier last year, Japan hiked its tariff rate for frozen U.S. beef imports from 38.5 percent to 50 percent for six months, which ends on March 31. U.S. exports of beef and beef products to Japan totaled $1.5 billion last year, making it the United States’ top market, according to the USDA. The United States is the world’s largest beef producer and in 2016 was the world’s fourth-largest exporter, with global sales of more than $5.4 billion, according to USDA numbers. The current renegotiation of the North American Free Trade Agreement (NAFTA) is making many farmers nervous. Trade among the NAFTA countries has tripled since its implementation in 1994, according to the Farm Bureau. Agricultural exports from the United States to Canada and Mexico have quadrupled from $8.9 billion in 1993 to $38.1 billion in 2016. If parties fail to reach a three-way deal, NAFTA is likely to fall apart, however, Trump has indicated that he is open to bilateral trade agreements with both Canada and Mexico. Under NAFTA rules, countries can unilaterally withdraw from the agreement by giving six months’ notice. 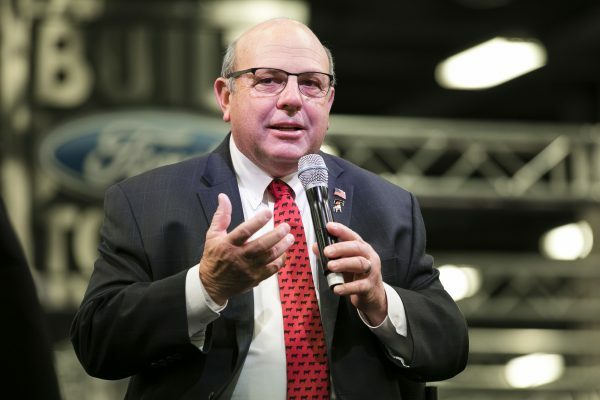 American Farm Bureau President Zippy Duvall said America’s agricultural industry sells about half of what they produce to foreign markets around the world, and those exports generate about 20 percent of farm income. Duvall said the USDA is forecasting $140 billion in total agricultural exports this year, with a trade surplus growing to $23 billion. 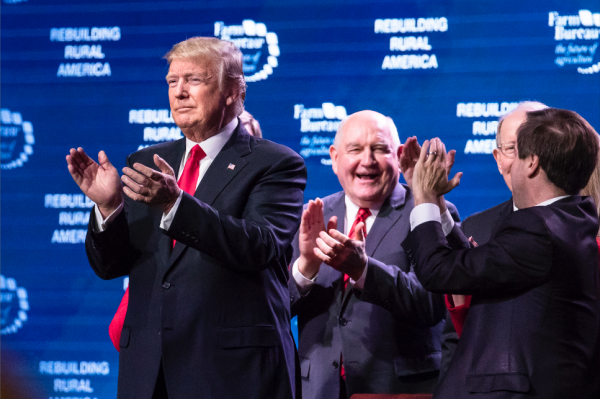 Trump spoke highly of farmers at the 99th annual American Farm Bureau Convention in Nashville on Jan. 8. The recent Tax Cuts and Jobs Act gives most farmers lower tax rates across the board and a 20 percent deduction in taxable income. Farmers will also be able to deduct 100 percent of the cost of new equipment in the year they make the investment—as opposed to over many years under previous tax law. The estate tax, or “death” tax, is the biggest win for many farmers, though. It is a federal tax applied to the assets of a person after their death. The new tax reform bill doubled the exemption threshold from $5.49 million to almost $11 million. For estates worth more than the exemption, the federal tax rate remains 40 percent. Some states also have their own estate taxes. “From now on, most family farms and small-business owners will be spared … of the deeply unfair estate tax, known as the death tax—so you can keep your farms in the family,” Trump said to raucous applause. Although Lucas Holman doesn’t yet have children, the new death tax exemption provides some relief for his future. 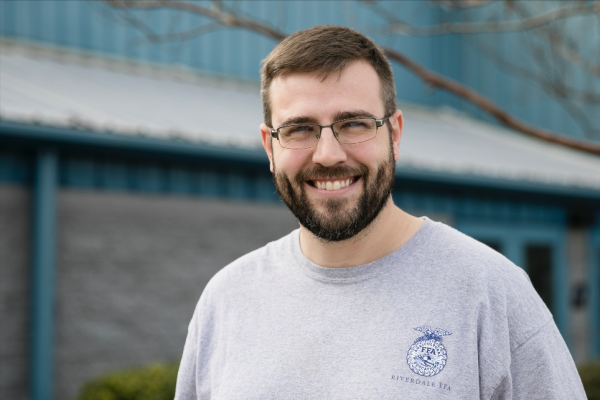 He and his wife own 100 acres of land in Murfreesboro, where he grows and sells garlic when he’s not teaching agriculture at a local high school. He also runs a small nursery and tends to some cows, pigs, and sheep. “I plan on having kids someday, and I eventually would want them to take it over,” he said. Under the new exemption threshold, he doesn’t have to worry about his children having to sell the farm just to pay the estate tax. In general, Holman said Trump is getting America more on track. Holman said he thinks the agriculture industry will see a resurgence over the next couple of years with Trump at the helm. It’s good to see someone recognize farmers for once. 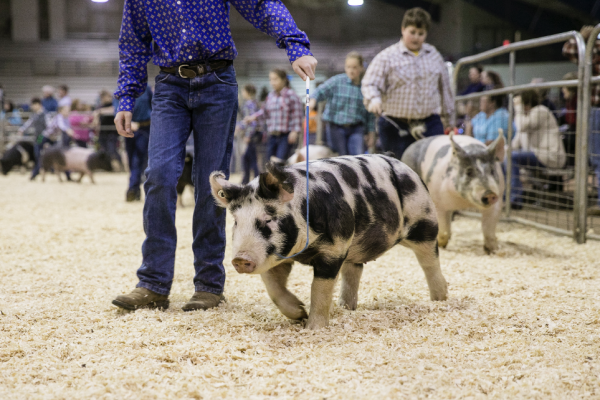 He was heartened to hear Trump placing an emphasis on student-led organizations in agriculture such as 4-H and Future Farmers of America (FFA). 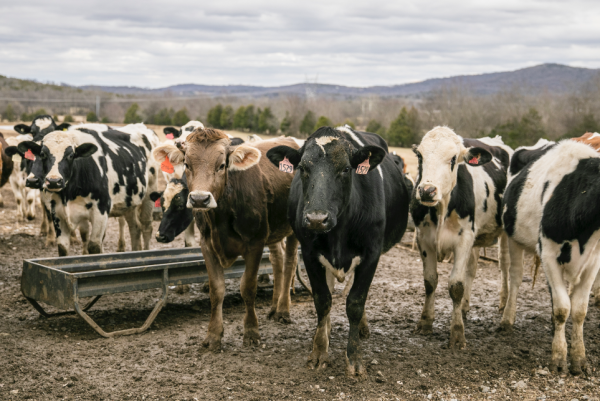 A dairy farmer in Lebanon, Tennessee, who wished to remain anonymous because “my opinion doesn’t matter,” seemed to fit into the “silent majority” that won Trump the presidency. The farmer said he appreciates that Trump is not politically correct. Trump is shifting America closer to its Founding Fathers’ roots, the farmer said. For many farmers, the No. 1 problem is finding a legal workforce for their demanding and seasonal jobs. Profit margins are tight in the farming world and he said he’s barely hanging on. 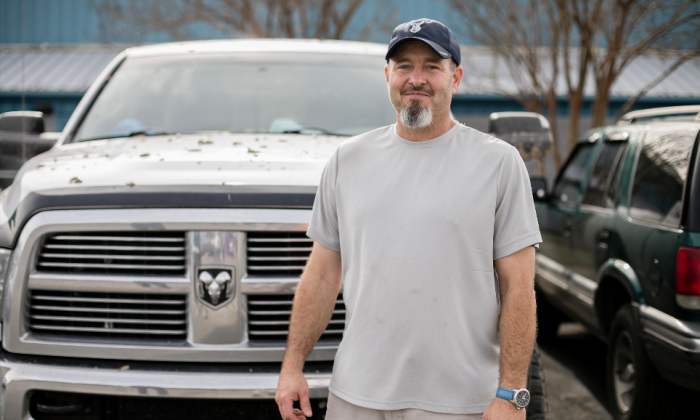 At 43, he’s applying for a commercial driver’s license so he can start driving trucks—making things tougher for his wife and three small children at home. He had to drop his health care insurance after the premiums shot up over the last few years. The farmer is philosophical about the gridlock in Washington—it can be a good or bad thing. “The difference is, you get somebody in there that perseveres, that doesn’t give in to the status quo,” he said. Gary Patterson, 46, said the construction business is picking up and he’s hopeful for the future. He voted for Trump and likes that he’s not a career politician. “I’m kind of like him, I say what I feel, and I think there’s times that’s good, but it’s got me in trouble before. And I think it’s the same thing with him,” Patterson said. Everyone The Epoch Times spoke to talked about the importance of self-reliance, and Patterson said he thinks it’s something Trump is working on. You embody the values of hard work, grit, self-reliance, and sheer determination. Patterson said he supports most of Trump’s policy positions, including on immigration. Back to farmers, immigration is a thorny issue for them, too. “I have met many farmers and ranchers across the country who deal with the reality of farm labor shortages on their farms,” said Duvall. He traveled to all 50 states during the last two years. Many jobs are seasonal and physically demanding and farmers often have difficulty finding American citizens and lawful permanent resident workers to fill the jobs, according to a USDA report released on Jan. 8. “This has led some farmers to hire illegal foreign labor and the underutilization of the H-2A visa program to hire legal foreign workers,” the report says. But Duvall said farmers sometimes have to wait months for a decision on their H-2A, or temporary agricultural worker, visa applications. “All the while, they worry that they won’t get workers in time to plant or harvest their crops,” he said. Duvall said he supports a bill introduced by Rep. Bob Goodlatte (R–Va.) last year that would let existing workers apply for visas to stay in the United States and keep working on farms and ranches. Deregulation and increasing access to broadband and health care services are also priorities for the administration, as outlined in the USDA report. 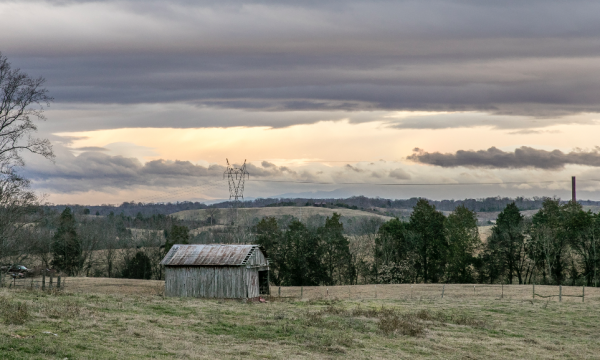 According to the Federal Communications Commission, 39 percent of rural Americans, or 23 million people, lack sufficient broadband access. To that end, Trump signed two executive orders during the convention as a first step to expanding access in rural areas. “We know that our nation was founded by farmers. Our independence was won by farmers. Our continent was tamed by farmers. Our armies have been fed by farmers and made of farmers. And throughout our history, farmers have always, always, always led the way,” Trump said.